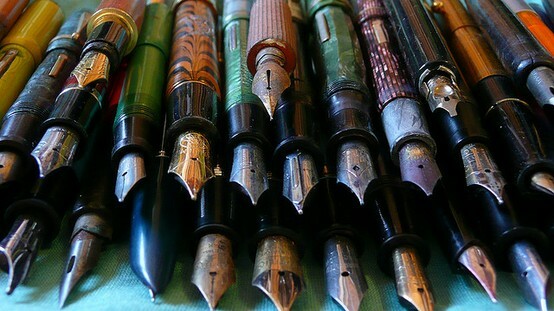 The letter writing started when my dad got into journaling (after last year's journal challenge), which lead to fountain pens, which led to vintage paper, which led to letter writing. We constantly write each other letters. They are always written with fountain pens. and they are always on vintage paper or stationary. 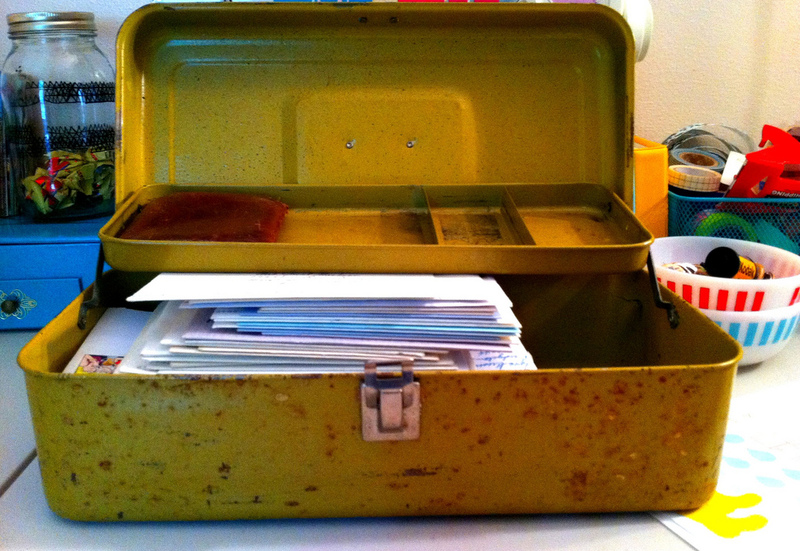 I keep all of my letters in this sweet little vintage toolbox that I got from an estate sale for $1. 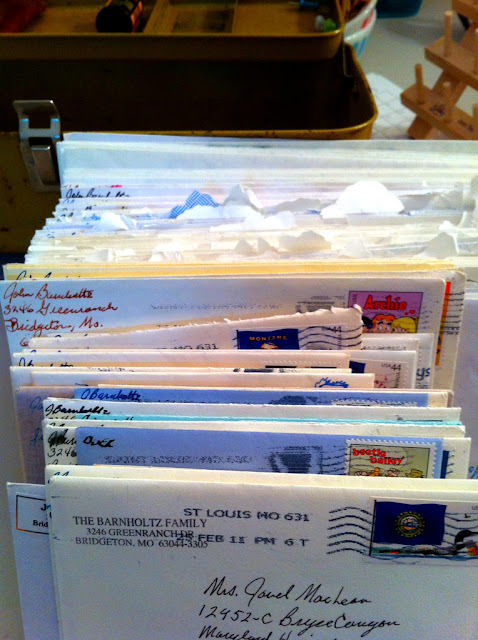 85 love letters from my dad. this is the sweetest thing i've ever seen. i hope to one day do this with my dad, when i move away. so so special. Wow, this is amazing! I, too, love letter writing! I love those pens! I think I'm going to have to get my hands on one (or two) of them! <3 love your blog! this is adorable. i love this. that is so sweet. i'm gonna see if my dad will start doing this. This is SO COOL - I have always loved writing and letters and mail against all the technology today. that really is precious, janel! 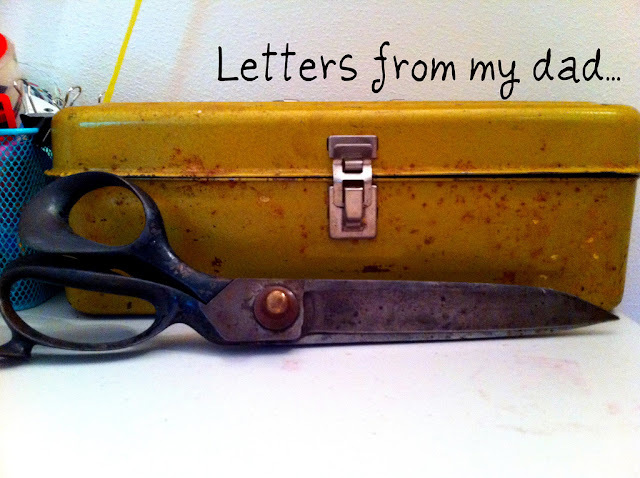 What I wouldn't give to have just one letter from my dad! These truly are treasures beyond value. I absolutely love this idea! Thanks for sharing!! Loves you! Wow. I'm in awe of this. Totally inspiring! aweeee! i love this! it's so cute!! I'm in love with this! How amazing and sweet! This is SO neat!!! My mom writes the most wonderful, heartfelt letters, and I believe it is her gift. People's hearts are warmed when she writes to them, and it's always exciting to get one of her notes in the mail with her handwriting on the envelope, and her special stationery inside! these are lovely, absolutely wonderful. 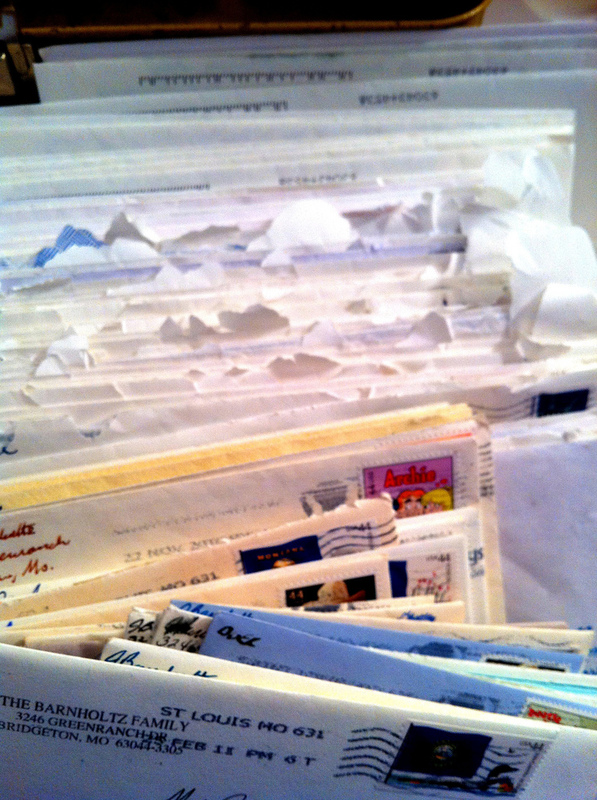 i wish i had letters from my mother. save them always! i need to start this with my dad. regardless, it's such a beautiful idea and what a treasure for you and your kid(s) in years to come!